We're pleased to announce to the release of OKRs inside of SproutMark! This feature is in its early stages and we're looking for feedback. 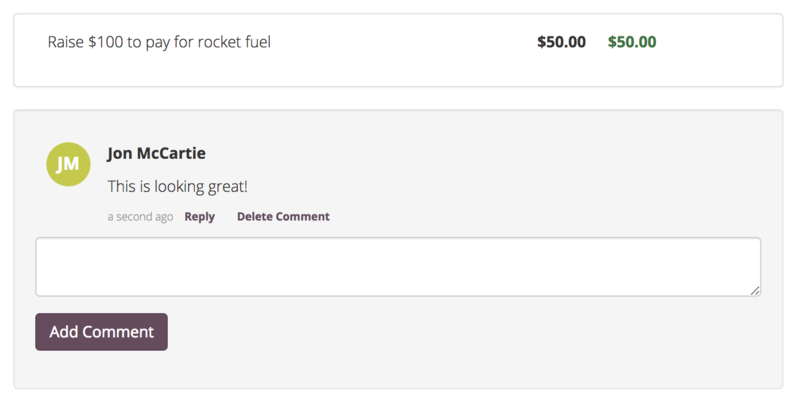 Please give it a spin and send us feedback at support@sproutmark.com. 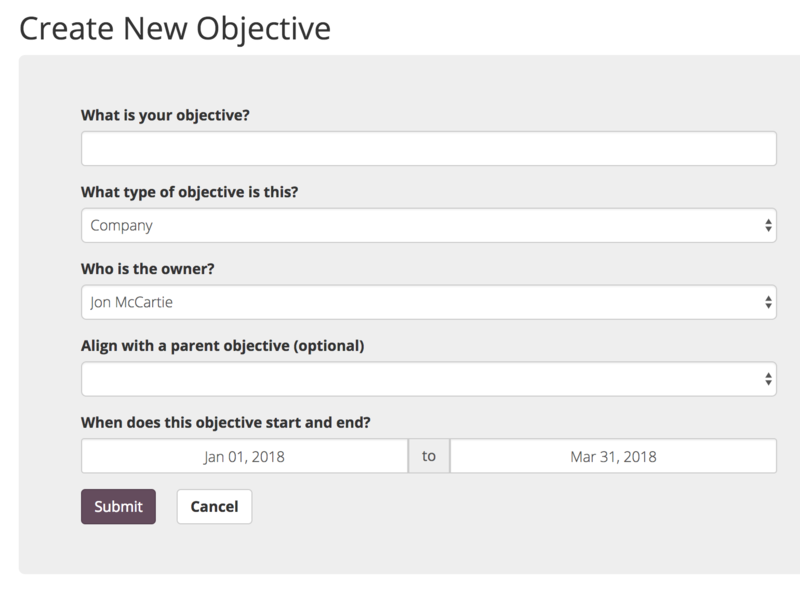 OKRs (Objective & Key Results) is an easy-to-use goal-setting system that implements tight feedback loops to keep your team focused and everyone up to date. Objectives (goals) are defined at every level of the organization -- company, team, and individuals. 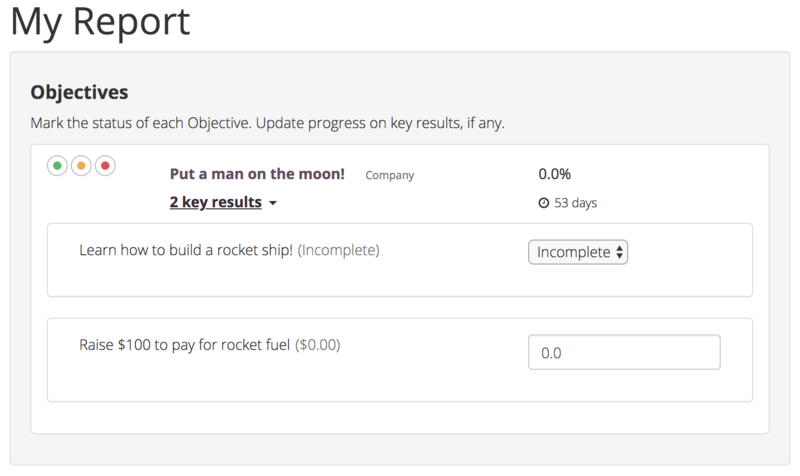 To get started, click "Objectives" from your Dashboard, or visit this direct link. Enter an objective for your team. Set an owner, alignment, and due dates. Once you've created your Objective, start adding some tangible Key Results to track. You can choose between different types of Key Results: percentage, currency, a number, or completion. Add as many Key Results as you'd like, then set the current status of the objective. You can do this by simply clicking the Red (At Risk), Yellow (Behind), or Green (On Track). Now, if you're the owner of an OKR, SproutMark will ask for an update during your Weekly Report. Set the status and update any of the data for the Key Results. As the reviewer of the report, you'll see any changes made to the report and be able to comment on the status. Once again, OKRs is very much in its early stages and we want to hear from you! Please give it a spin and send us feedback at support@sproutmark.com. OKR was invented at Intel and is used today by many companies, including Google, LinkedIn, Twitter, and Zynga. To learn more about the process, give this article from Google a read. Don't like reading? Here's a video!